Has summer started where you live? Spring? I've noticed as I've aged that my Pennsylvania springs are much shorter, and air conditioning season starts well before the Summer Solstice. 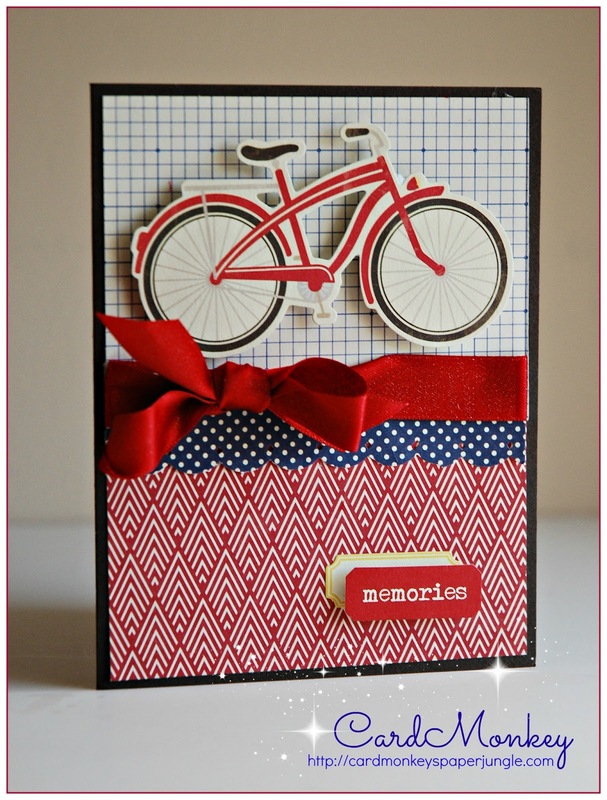 This card makes me think of summer memories of my youth, when I'd ride with bicycles with friends, and we'd decorate our bikes for summer holidays' parades. 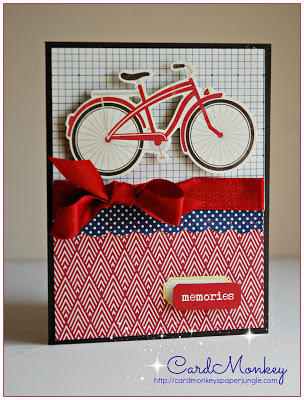 The base of this card is made from May's Card Kitchen kit from Jillibean Soup. I swapped out the sentiment sticker with one that honors "Memories", and used Really Reasonable Ribbon in red instead of the planned navy binding. This card makes me long for picnic days. How about you? Love this card, looks like it came out of the paper craft magazine, or was it you in the paper craft magazine that had the card?